Home » Blog » Why work with Leotronics? 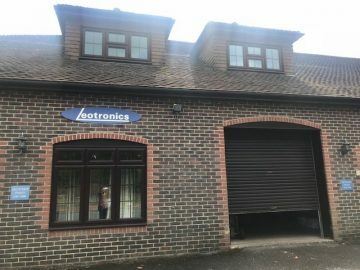 Leotronics have warehouses in both the UK and in the Far East. The UK warehouse is located downstairs from our head offices, whereas in Hong Kong, we have a dedicated space in a much larger warehouse. With premises on both sides of the world we can respond to customer orders quickly no matter where there are and in several cases, we can provide a next day turn around on orders. We work with several suppliers in the Far East, helping to get our customers the products they require quickly. Before we agree to working with new suppliers, we undertake a vigorous evaluation and selection process to see if they are suitable. This evaluation includes pricing, availability, reputation, shipping terms and capabilities and quality system certification status. Only after we have received a sample from a supplier and it has been tested and approved, do we dispatch it to a customer for final approval. To ensure a continuous high standard of delivery, we continue to conduct reviews of our suppliers’ performance on a regular basis. All our logistics partners are evaluated in terms of pricing and delivery schedule. 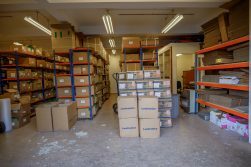 Their prices need to match our cost scale, and they must also be able to pick up every working day from our UK warehouse within normal opening hours. We also ensure that our logistics partners all have the necessary security protocols in place; these include things like tracked delivery and proof of delivery. This is how we ensure peace of mind for our end customers and that their goods are being handled appropriately. Another key consideration for us is ease of communication with our partners. Delays to delivery, whether due to adverse weather conditions, component availability, or anything else, means we expect them to inform us as soon as possible with a revised schedule. Leotronics is ISO 9001:2015 accredited. This is a requirement set out by the International Organisation for Standardisation (ISO), which recognises companies who demonstrate themselves to be providing a quality management system (QMS). In order to qualify for ISO accreditation, we have consistently shown that we provide high quality electronic connectors, cable assemblies and services consistently to our clients not just in the UK but all around the world and our quality management system is of a good standard. As an internationally recognised market leader in the UK and worldwide, we pride ourselves on offering competitive pricing, fast lead times and industry expertise. But don’t just take our word for is, you can see what our customers say here. We provide industry standard electronic connectors and cable assemblies, and support our customers’ needs from design right through to product implementation. 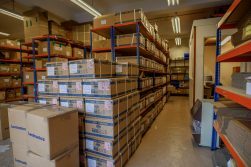 With a wide range of stock always available in our warehouses, we are able to fulfil customer orders quickly and always aim to respond to queries within 24 hours. We are founding members of the Logistics and European Supply Group, Conexcon, and as such, we guarantee high quality alternatives to our customers, these will always come at competitive prices with no compromise on quality and with the same quality of service we have always prided ourselves on. With warehouses around the world, we can supply you with the cables and electronic connectors you require quickly, wherever you are. Contact Leotronics to see how we can support your design aspirations and help you achieve more.